You have an awesome feel for that solo! Down below the video you gave a link to the Integrale version "+ 50cents" and when I first looked at it I had to laugh... "Man, I didn't know Django recorded Swing Guitars with 50Cent." Hey Augusto, awesome job on that! 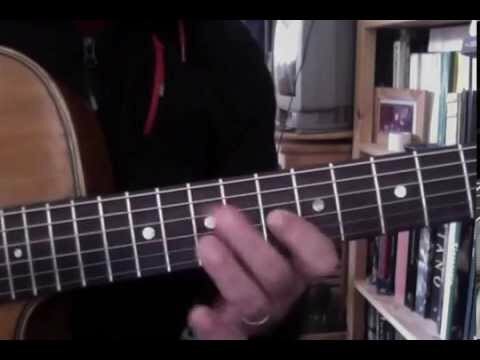 I was wondering at 0:12 in your vid (just after the Db7b5 arp (ending on the 12th fret harmonic) I hear a chord 'splash' in the background that sounds like Db9 (x x 9 10 9 11). Do you think that is Django playing that or one of the accompanists? Thanks for posting the vid. I have wanted to work on this one for a while. Definately Joseph and Eugene playing that. They do it later as well. Ok, cool. How can you tell? I'm having a hard time differentiating the various instruments on that recording. Because in a few places it would be impossible, like at 0:27 where Django seems to hold the note over the "splash". Also, I get the feeling he would lose a little of the groove while soloing, he rarely did any chord work while soloing unless it was a part of the solo, but when playing rhythm he did a lot of embellishments in the rhythm like that. If you listen to the actual recording, it is clearly the rhythm guitarists. Thanks guys. I'll check it out. I'm guessing that they would need big ears to be confident enough to throw in rhythm splashes behind Django especially during a recording session (and big nads!) but they probably had enough time together to be able to anticipate when to put them in. Agreed. BTW, really love the rhythm playing on that take.